March 3 — ASTD-PHL's Josh Maleeff interviews John Juzbasich on about his upcoming program on March 12. Listen in below. It is estimated that adult learners retain only 10% of what is taught in workshops and recall only 5% of what is taught when the instructor relies solely on PowerPoint slides. What can you do as a trainer, instructional designer or training manager to improve those numbers? How can training be designed so that learners remember and apply what they learn? Bottom line: how do we make training stick? John Juzbasich, our March speaker, has the answers. As the CEO of Merit Systems LLC, John knows what makes the difference between ho-hum training and truly impactful training. John will explore how adults learn based on discoveries about how our brains collect, organize, and manage new information. Participants will be guided through a 4-step learning process called the Learning Cycle and then practice applying each step to an actual training module. The insights gained through this exercise will enable participants to develop training that resonates long after the actual session is over. Mark your calendar now for this intriguing journey into the world of learning and neuroscience! 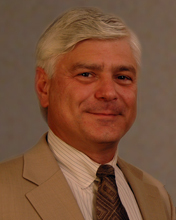 John Juzbasich is partner and CEO at Merit Systems LLC. He earned an MLD (Master of Leadership Development) degree from Penn State University and his undergraduate degree from the Wharton School of Business, University of Pennsylvania. He is currently completing his Doctorate of Adult Education in Leadership degree at Penn State. John is a published author and his recent paper, Effects of Gender Composition of Leader-Follower Dyads and Leaders’ Level of Moral Development on Charismatic Leadership Ratings, won the “Best Paper Award” at the 2008 Institute for Behavioral and Applied Management conference. John is an Adjunct Professor at Eastern University in their Fast-Trac MBA Program, teaching Strategic Leadership and Quantitative Decision Making and an Adjunct Professor at Penn State University, Great Valley Campus where he teaches in their Master of Leadership Development and MBA graduate programs.